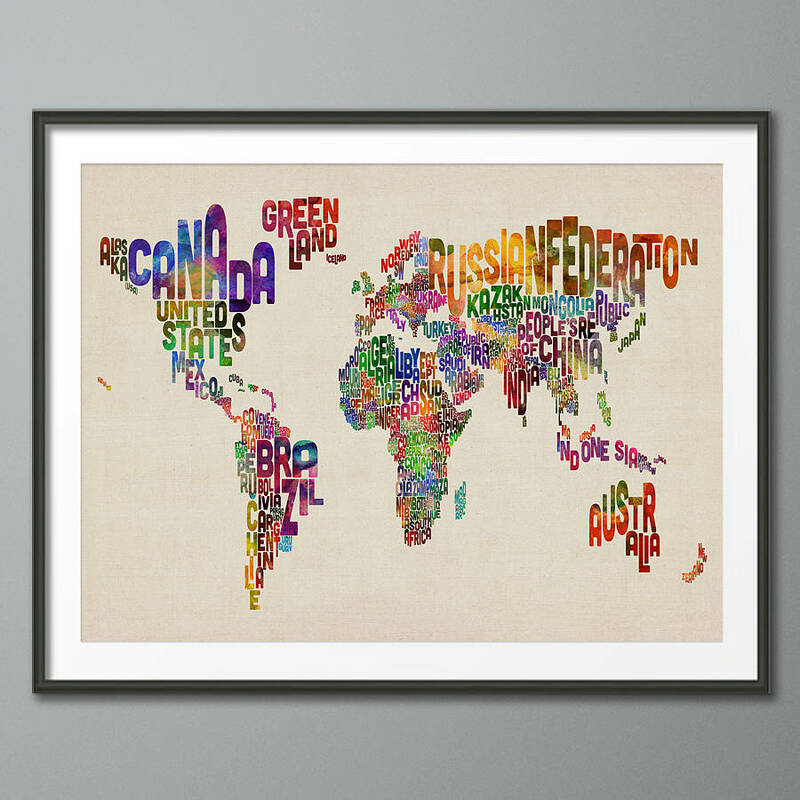 A bright and exciting typographic map of the world, available on a beige textured background or on a plain white background. 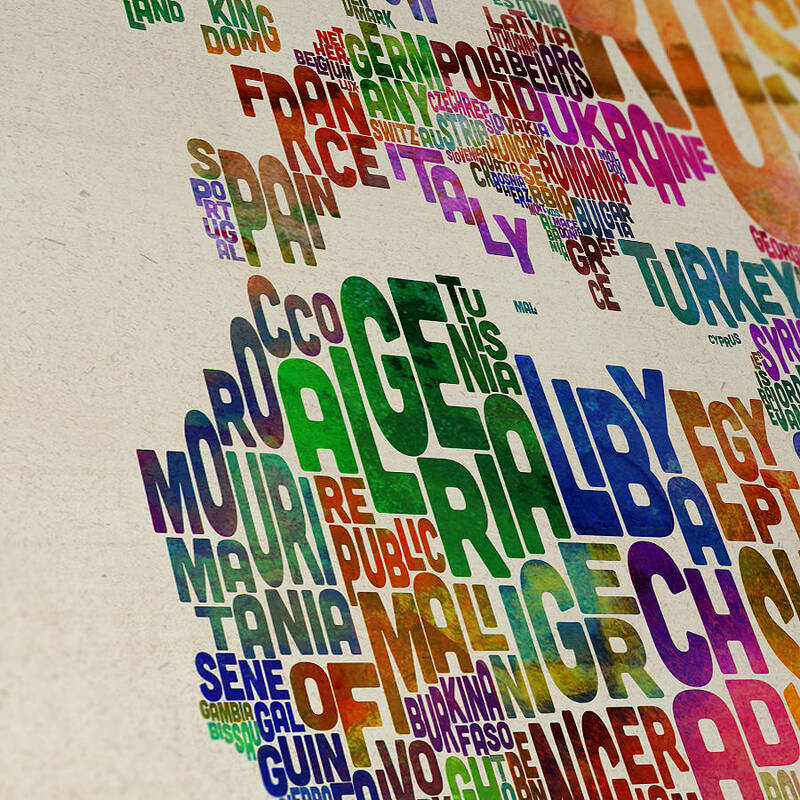 Each country is represented by its name in lively and colourful type. 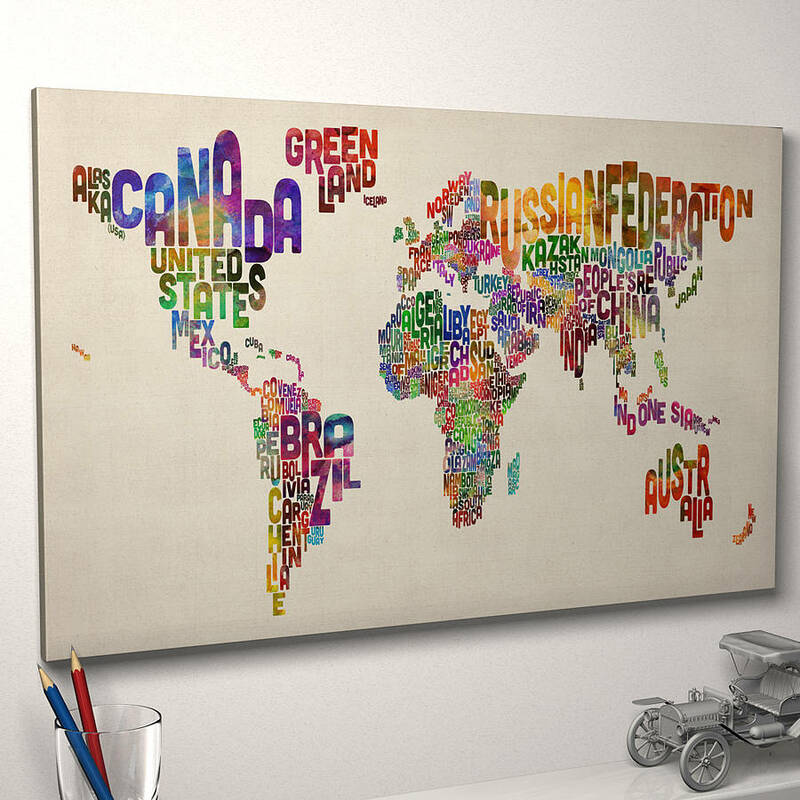 The majority of countries are represented except for some of the very smallest states and islands. 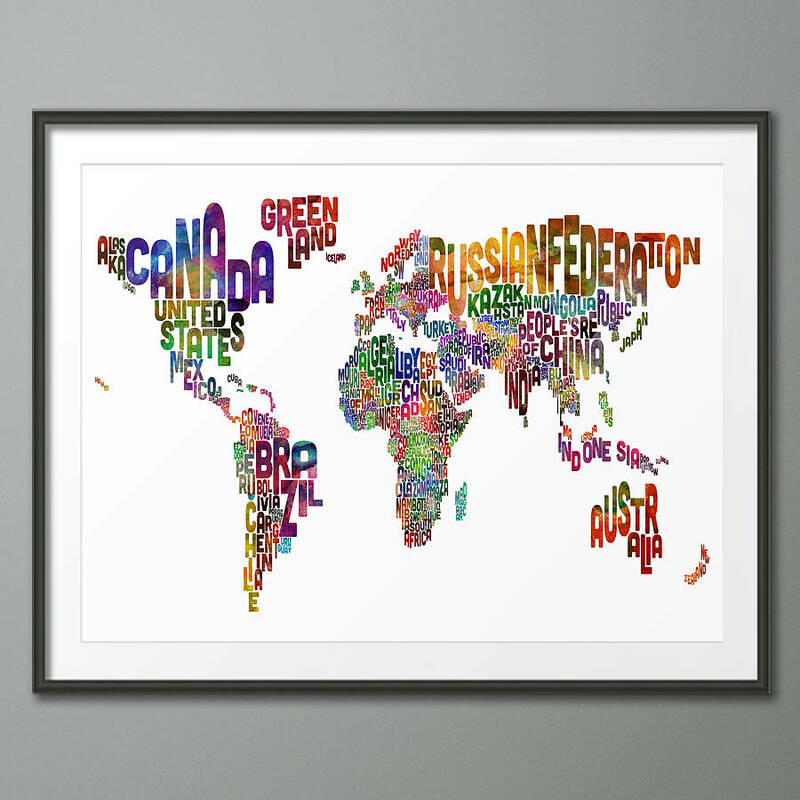 This fun, enjoyable and informative artwork is ideal for a child's bedroom or playroom, or for any adult who enjoys globe trotting. 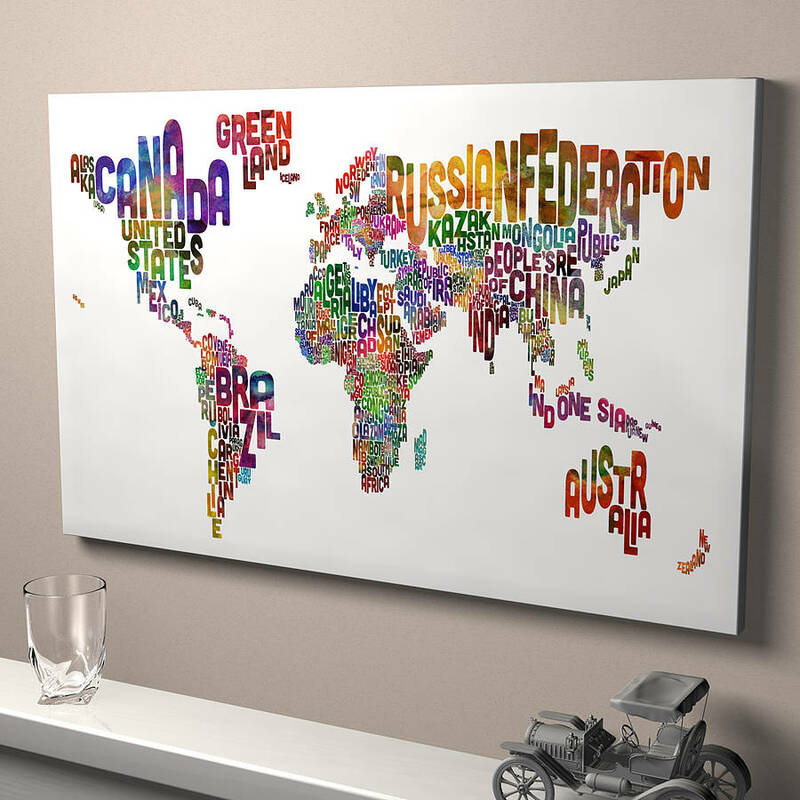 Canvas prints are Giclee printed on to European sourced, luxury matt poly canvas (280 gsm) for fantastic colour reproduction and incredible durability. Satin Poster and Fine Art print sizes: Medium 42x59.4 cm (A2), Large 50x70 cm. Ready-to-hang Canvas Print sizes: Medium 16x22 inch (40x55 cm), Large 22x34 inch (55x86 cm).